Throughout the school year, various scholarship opportunities will be presented to the counseling office and advertised to students. The majority of scholarship money earned by students comes from community scholarships (in which students are required to acquire applications through our office and submit them for completion) as well as financial aid packages offered by colleges/universities. Community-based scholarship opportunities will be made available to the counseling office on an ongoing basis. Announcements will be made to students each time one is made available. Students will need to pick up applications and return them within the deadline required. 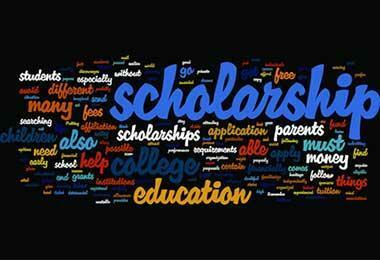 Important Notice: Scholarship applications are due in the counseling office a week before the deadline. Any applications submitted after the deadline OR incomplete applications will NOT be accepted by the counseling office. Score 1200 on the SAT (combination of Critical Reading and Math) or Composite score of 27 on the ACT; minimum cumuative 3.5 GPA at the end of the junior year and rank in the top 6% of the class at the end of either the sophomore or junior year. Score at least 1400 on the SAT (combination of Critical Reading and Math) or Composite score of 32 on the ACT and earn minimum cumulative 4.0 GPA at the end of the junior of senior year. Graduate from high school with 3.0 cumulative GPA on SC Uniform Grading Scale. Receive a score of 1100 (combined score for Critical Reading and Math only) on the SAT or composite score of 24 on the ACT. Rank in the top 30% of the class. There is no application process. The college will notify the student if he/she is eligible for the Life Scholarship. Students attending a four-year school will receive $4,700 plus a $300 book allowance. Students attending a two-year college or tech college will receive the cost of tuition plus a $300 book allowance. For Enhancement eligibility, Life Scholarship recipients must declare a major in an approved math or science program. Eligible students may receive up to $7,500 (combined funds from the Life Scholarship and the Scholarship Enhancement) per year beginning with their second/sophomore year of college enrollment. This is a one year merit based scholarship for first time freshman students attending a four-year college but who do not meet the eligibility requirements for the other state scholarships. Students are eligible for Hope based on a minimum 3.0 GPA upon graduation, being a South Carolina resident, and meeting other general eligibility rules. Hope is $2,500 plus a $300 book allowance. Students attending a two-year college/tech school but who do not meet the eligibility requirements for the other state scholarships may qualify for a portion of the tuition. Students must complete a Free Application for Federal Student Aid (FAFSA) and must take a minimum of six credit hours each term.